This article came to me from one of my legal contacts and may be helpful for those with out-of-country travel plans. Since DHS took over the passport office and made the requirements regarding passports (can we say National ID anyone?) for even day travel into Mexico and Canada, not to mention areas normally not requiring passports, the wait time for your passport has doubled and in some cases, tripled. Leave it to the government to further screw things up (yet morons think the government can make national health care run smoothly? How about y’all re-think that idiocy, ‘k?). DHS is, of course, pushing its implementation of the REAL ID Act of 2005, and a handful of states not only objected to its implementation but actually passed laws against it with anti-REAL ID legislation. DHS has now “blinked”. 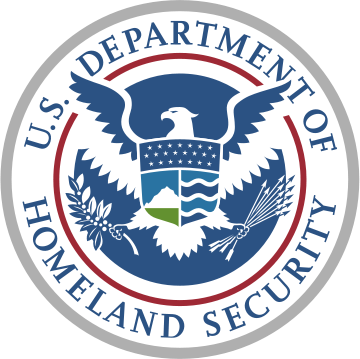 For those who have travel plans and no passport, the deadline requiring compliance with the REAL ID Act has been extended to December 31, 2009.
of Homeland Security avoided a head-on confrontation and extended time to improve security procedures on drivers’ license identification under the REAL ID Act of 2005. The extension of time to all 50 states, whether they asked for it or not, is viewed as a victoryby the rebellious states. The extension will avoid hassles, and pat-down searches, for many Americans trying to board airplanes using drivers’ licenses as the summer vacation season approaches. Six states have steadfastly refused to go along with some of the REAL ID mandates, which require Americans to carry a federally approved ID card, or passport, to travel on an airplane, open a bank account, get into federal buildings or collect social security. States were required to adopt licensing systems that meet federal standards by May 11, 2008, which include new security layers to prevent forgery and include verification of birth certificates, social security numbers and immigration status. DHS spokeswoman Veronica Valdez said April 7, “We have reached agreements to make sure all states are ontheir way to making identification more secure and REAL ID Act compliant.” She declined any further comment. Montana Gov. Brian Schweitzer has been among the leaders of the pack of objecting states. He said in March that “DHS blinked” when his state got an extension from Chertoff despite insisting Montana would never comply and a state law that bars compliance. 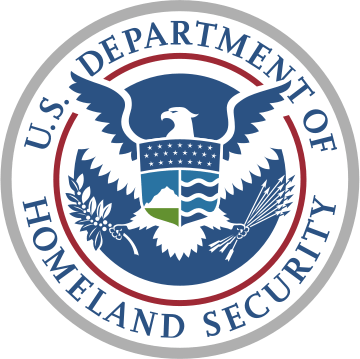 Montana Attorney General Mike McGrath sent a letter to DHS in March pointing out the steps the state has taken to improve license security and catch fraudulent documents. He asked that DHS not punish the state because the Legislature has not been in session since its unanimous vote in 2007 to forbid implementation of REAL ID. program but got the extension anyway. The state passed an anti-REAL ID measure in 2007 and has not backed down. “At the end of the day, I’m duty-bound to uphold the laws of our state, which right now say we can’t comply with REAL ID,” he told reporters on the eve of the DHS extension. “That being said, I do fall into the camp that believes REAL ID is poor public policy for any number of reasons, and we have some real questions as to whether the benefits in terms of security outweigh the costs in terms of time and money,” he said. Maine was the last state to get the extension on April 2, according to the DHS. identification, even if no ID is issued, according to the DHS. Baldacci also promised to submit legislation that would have Maine use the federal alien verification system to verify noncitizen documents and seek state appropriations to pay for the changes. The promises were good enough to win a DHS approval for the extension. I have issues with the idea of a National ID, no matter how it’s sugarcoated or named. I understand we have to have something to identify citizens and those here illegally. Frankly, I don’t know the solution to this issue. I don’t like the government having more and more control over me and I think this is where my real objection lies. Further, if the government is going to require passports, you’d think they’d reduce the cost of them. Instead, the cost has remained the same while the service to obtain a passport has deteriorated–just like any other government run agency. Also posted at Digg! here, GOP Hub here and Real Clear Politics here (for the moment–they may still censor me).